Website Traffic Exchange Free & easy way to get new visitors to your website! Battle Of The Pages Free & easy way to compare your website design and functionality! 100% Free Banner Exchange Free & easy way to advertise your website! and you can use this feature (tool) to do so. Try our Facebook Facebook battle! 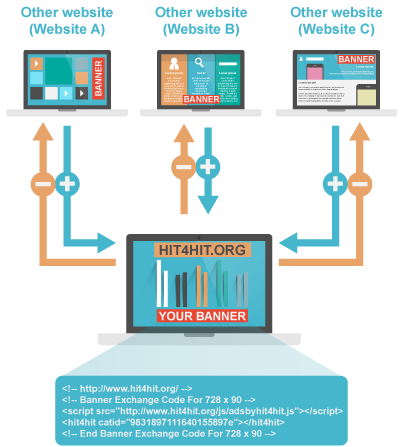 "Battle Of The Pages" Simplifies A/B Testing! What assumptions are you making about your site right now? Submit your site into our Battle Page Feature and see how simple it is to compare your website against the competition and learn your websites overall rank. Learn what visitors like about your competitors and try to make your website better. Try our A/B testing of website pages! Higher the traffic of unique visitors to your website = The higher the Search Engine Rank! Get a birds-eye view of your performance or drill down to check out reports. Run simple, but effective campaigns using our Website Traffic Exchange! We are implementing highest security protocols, and take strict measures to make your account the safest it can be! Our dedicated support team is always hire to help. Our usual respons time is less than 24 hours! 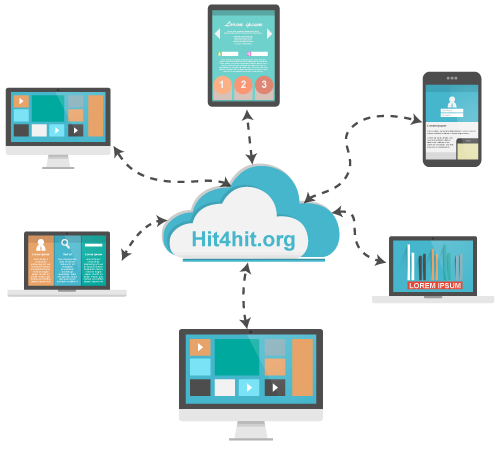 Hit4Hit.org can help you build a large E-commerce traffic, that will generate more sales for your business! Our development team is always perfecting the system, and is ensuring fast and steady traffic to your web pages. We are a part of a community, and everyone's suggestions are more then welcome.